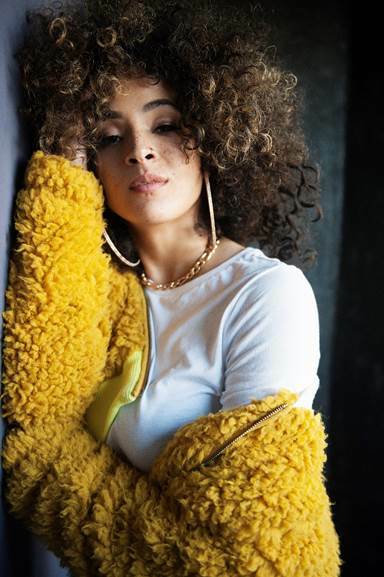 Kandace Springs Releases New Single “6 8” | WATCH NEW VIDEO! Kandace Springs has released “6 8,” a sublime remake of Gabriel Garzón-Montano’s gorgeous ballad that is molasses slow and crystalline pretty. Kandace’s sensual vocals and chiming piano intertwine with Elena Pinderhughes’ ethereal flute and float above Burniss Travis II’s bass and Karriem Riggins’ drums. The song follows the single “Don’t Need The Real Thing,” both of which appear on Kandace’s remarkable second album Indigo, a 13-track LP of originals and choice covers that will be released September 7 on Blue Note Records. The album showcases the full breadth of Kandace’s artistry with songs that swirl classical composition with quiet-storm cool, jazz poise with hip-hop swing, tropical warmth with soulful depth, and earthen groove with airy psych. All but two tracks are produced by Riggins (Common, Erykah Badu) with additional production by Jamie Hartman (Rag’n’Bone Man), Jimmy Hogarth (Amy Winehouse, Corinne Bailey Rae), Jimmy Harry (Madonna, P!nk), and Evan Rogers and Carl Sturken (Rihanna).